Spending Money Playing Together Instruction Lists Not Taking Advantage What About Payment? If you're lucky enough to have your child's grandparents living nearby, chances are you've already used them for child care. 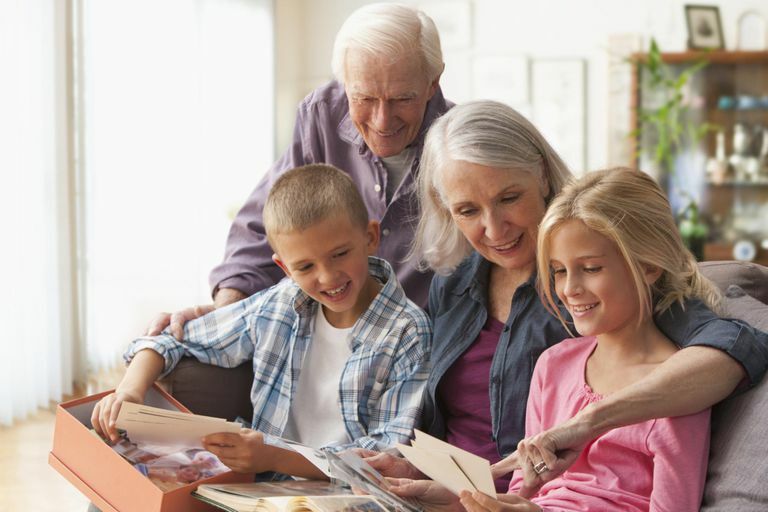 But whether it is for occasional babysitting or for full-time care while you work, here are things you would like grandma or grandpa to know about watching your children. It gives you a great sense of comfort that they can watch your precious baby or toddler. You know they love and care for your kids and will take care of them to the very best of their abilities. Watching after a child is exhausting, especially if you have more than one. You are more than a little concerned whether the grandparents can keep pace. After all, you can't always keep up with them yourself. You may also worry about the grandparents' overall health, hips, or knees. You don't want them to take it personally if you try to keep them from going up the stairs. You may try to find ways to make it easier on them. Of course, grandparents are supposed to dote on and even spoil their grandkids. But bedtimes, no sweets before meals, and no bouncing on the couch are rules that you know your kids will test the minute you leave. You hope the grandparents will respect your rules. That goes for what the kids can eat (or can't) as well. You want them not to be afraid to tell the grandkids "No!" Kids are very curious, and an open purse with lots of exciting contents inside just begs to be gotten into. You know the grandparents typically keep their medications in easy-to-remember days of the week containers and hate those childproof containers. But they need to be very careful with the kids around. Grandparents also need to discuss any health concerns that could be a risk to themselves or the children, such as seizures, falling asleep, or falling. From a safety standpoint, parents and grandparents need to decide whether babysitting is in the best interests of all. In fact, unless the grandkids are old enough to bathe independently, grandparents should skip this task. Babies are wiggly and slippery, and toddlers will splash like crazy and do other things grandparents really don't need to deal with. It's fine for kids to be a little dirty. Baths can wait until the parents get home. You don't expect the grandparents to buy new toys or clothes for the kids, especially when they are being so kind as to provide childcare. They can serve whatever is in the refrigerator. Reading a book, playing a simple game, or watching an age-appropriate movie together is fine. All the parent really needs to know is that the kids are safe, healthy, and happy. While the kids may suggest doing everything they can possibly think of, you don't expect the grandparents to play hide and seek or Hungry Hippo unless they really want to. Grandparents don't need to clean the house or do laundry while they are over, either. While you realize the grandparents raised you (or your partner) just fine, you may be overzealous in how you make a list or show them how to do things. Some childcare basics are the same as they've always been. However, some aren't. If you remind them of always laying the baby down on his back (and not stomach) or show them how to use the Diaper Genie, they should understand that you're just going over the same things with them as you would with any babysitter. Child care is expensive and you may be looking for every way possible to reduce your family's budget. Having the grandparents provide babysitting lets you save money while providing a closer bond between grandparents and grandkids. If they do feel like you are taking advantage of them, however, you hope they will speak up. You don't want the relationship to suffer because of it. While you hope the grandparents won't expect to be paid for occasional babysitting, it is reasonable for them to be paid if they provide ongoing or full-time care for the kids. After all, babysitting is a job, and it requires them to have certain responsibilities and keep certain hours. They should expect to either be paid or have an agreeable in-kind exchange. Be clear in your communications and encourage a discussion of expectations so it won't lead to misunderstandings. When using family members for child care, you need to make sure your arrangement is beneficial for everyone. You want this time together to build magical memories for all three generations. Should You Hire a Man to Take Care of Your Child?